SANCTIMONY plays heavy music style which they name as “death’n’roll”. As their influences they mark out such worldwide famous artists as Ozzy Osbourne, Entombed, Black Label Society. Founded in 1994 the four men combo SANCTIMONY performed cover versions of songs of their favorite bands. Very soon SANCTIMONY gained fame of powerful and high energy “death metal” band leaving nobody unmoved. SANCTIMONY’s first demo album “When The Sun Was God” has been recorded in year 1996. It contained their compositions and two arrangements of Latvian folk songs. 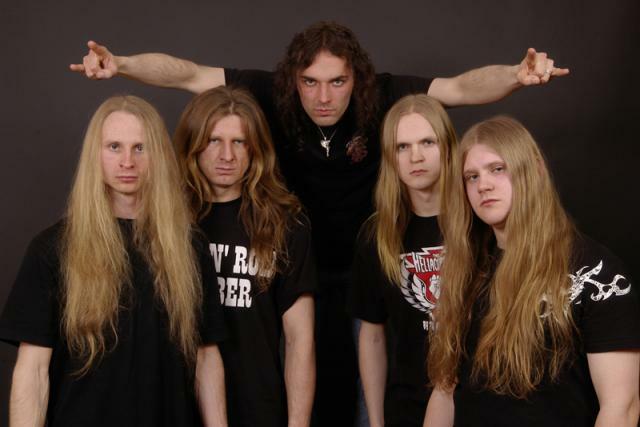 Next album “Eternal Suffering” was recorded in 1998 and released by “Father Productions”. It has been distributed worldwide. The three band members – Janis Bolsaks (vocals), Viesturs Grinbergs (guitar), Karlis Jakubonis (drums) were joined by Janis Aizkalns (guitar) and Denis Denisenko (bass) in 1999. This put an end to continuous line-up changes. Very soon a new live set of known and new songs and cover versions was done. In 2002 the wish for changes brought the band to change its music style to their favourite “heavy rock”. As they didn’t want to decline their “death metal” origin, SANCTIMONY named the new style as “death’n’roll”. Two song single has been recorded in 2003. One of the songs “Devil And Men” appears in the highest places of Latvia’s leading rock radio station “Radio SWH Rock” Top 20 and stays there for 20 weeks. 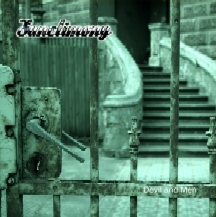 In 2004 the album “Devil and Men” has been recorded. It presents 10 songs of pure death’n’roll plus cover versions of Black Sabbath’s “Into the Void” and Sting’s “Synchronicity II”. The year 2005 starts out with two great gigs in Riga and Vilnius (Lithuania) together with swedes Entombed. 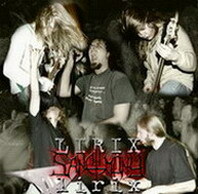 During that year SANCTIMONY was composing songs for the next album and playing highly energized shows. At the end of the year 2005 SANCTIMONY had the pleasure to do a warm-up show for mighty Judas Priest. First half of 2006 was devoted to preparation of the new album recording. The sessions started in May at the “Wolk recordings” studio in Riga. The album was recorded and mixed by Sergey Amsterdam and produced by SANCTIMONY. Mastered at „Finnvox” studios by legendary Mika Jussila who said it to be “one of the best albums” he has made this year. 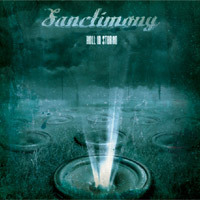 The album is titled “Hell in Stereo” and contains 13 killing tracks from which 12 are SANCTIMONY’s songs plus a cover version of AC/DC’s Back in Black. A deal has been signed with Aghast records about release of this album which is scheduled for February 15th, 2007.